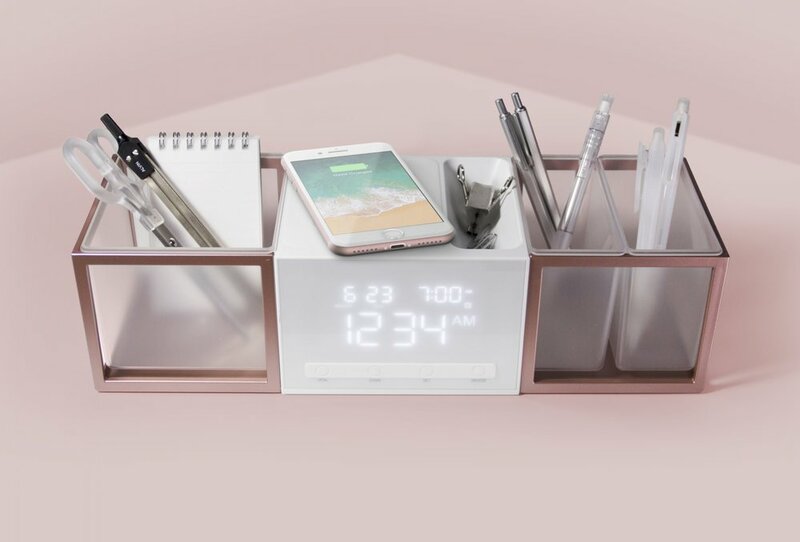 Swerve designed and engineered a range of connected desk organizer products. 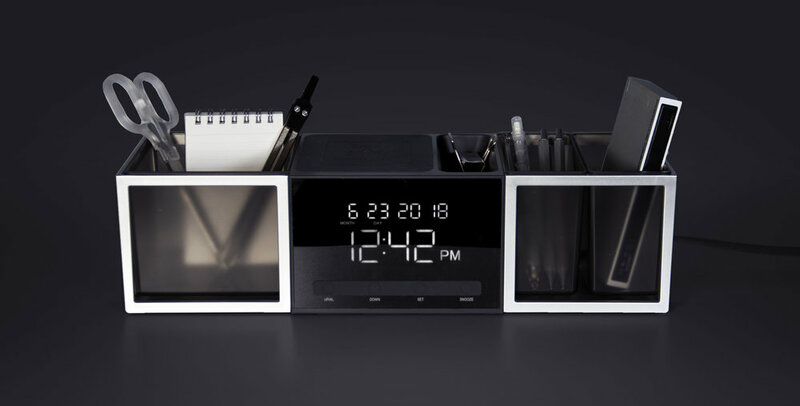 Exec Connect is manufactured in two color combinations, incorporates a set of USB connectors and also a wireless charging pad, combined with a digital alarm clock/calendar and a number of interchangeable storage caddies. The linear design of the unit takes inspiration form mid-century architecture and the combined use of solid forms, framing, and transparency to create a sense of lightness and visual focus. The sync desk organizer incorporates a blue-tooth speaker along with USB ports and a sculpted selection of storage areas. Designed for space saving and convenience we designed this unit to be flexible and to get the most from a small footprint.